So true... and a amazing shot. 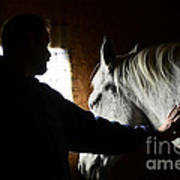 My father had a mare that all he had to do was walk out into the field that she was in and she would come to him. He would check over her and then turn and walk the pasture with her right on his heels. They walked the fence line then worked their way back to gate where she stood and watched him as he made his way back to the house. 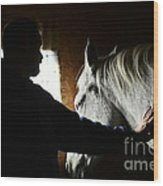 She did not leave that spot until he was out of sight, then she would turn and walk back to the other horses. Gentle ways of training horses involves much more than getting out the spurs. Really knowing your horse as a companion with all the trust that a good relationship has to offer and all that this trust requires is truly wonderful. The responses of this horse to his owners methods of training are a delight to witness. There is a relationship...a bond between the two spirits. 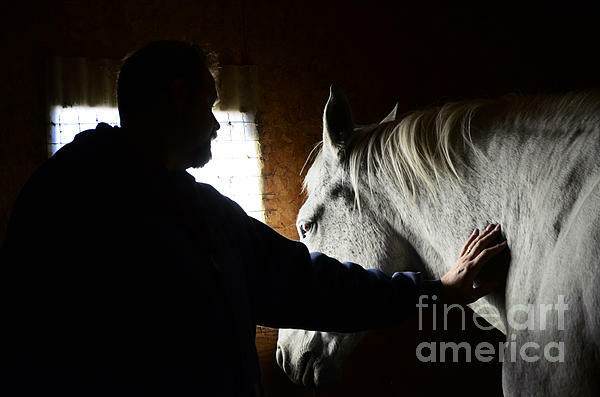 There is a sence of mutual respect that is felt surely by both the man and his horse.